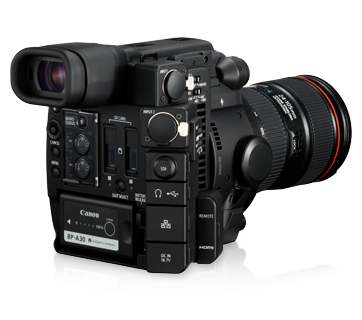 The 8.85 effective megapixels of the EOS C200's 4K Super 35mm, large-format CMOS sensor weaves ultra high-definition and richly textured imagery, aided by the newly-developed Dual DIGIC DV 6 image processing platform. 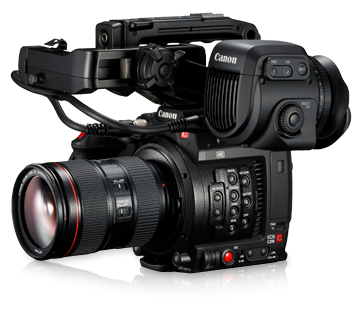 The camera supports a new RAW format, Cinema RAW Light, which can record DCI 4K 60P/50P RAW images to a CFast 2.0 (VPG130) card without the need for an external recorder. 4K Cinema RAW Light files contain abundant information, which not only enables format conversion with less image degradation but is also ideal for HDR recording. Meanwhile, 4K UHD 60P/50P movies can be recorded in the versatile MP4 format to SD cards. Dual Pixel CMOS AF, which is supported via touchscreen operation, enables easy and convenient pinpoint focusing. 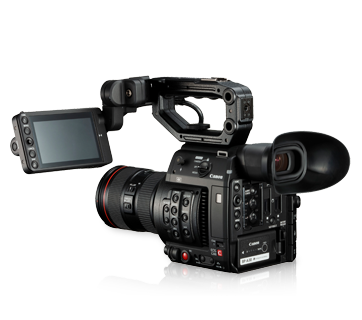 A compatible sub-camera for the EOS C700 and C300 Mark II with its support for Canon Log and Canon Log-3, the EOS C200's lightweight, compact body also makes it suitable for use on the field, whether for on-scene reporting or for documentary shoots. 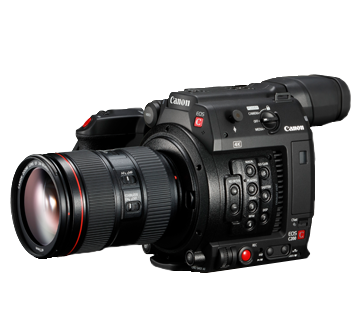 Equipped with two sets of Canon's latest image processing platform, DIGIC DV 6, the EOS C200 supports recording 60P/50P footage in not just DCI 4K, but also 4K UHD format, without the need for an external recorder. DCI 4K footage can be directly recorded onto a CFast 2.0 card using the new Cinema RAW Light format, which results in data sizes that are 1/3 to 1/5 of the size of conventional Cinema RAW files. As this format allows colour grading not depending on specific output devices or the latest trends, it is a powerful tool for creating HDR footage. UHD footage can be recorded onto an SD card using the versatile MP4 format. 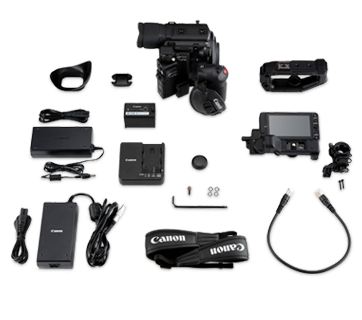 Two SD card slots provide brilliant support for recording over long durations. SDI output features support for ACESproxy version 1.0, where, by using a compatible display device, users can check images during colour grading and even whilst shooting, improving workflow efficiency. 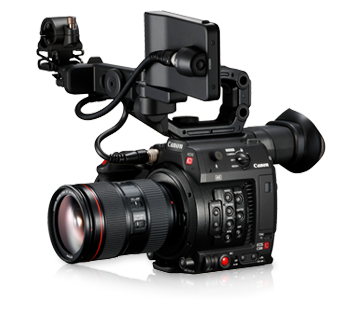 Equipped with the same 8.85-megapixel Super 35mm format CMOS sensor as the flagship model EOS C700, the EOS C200 provides 4K footage with rich colour gradations and high-definition image quality. ISO speed can go as low as ISO 100 (expanded), which, when used together with the built-in ND filter, makes it possible to achieve the bokeh quality unique to a large-format sensor even in daylight. 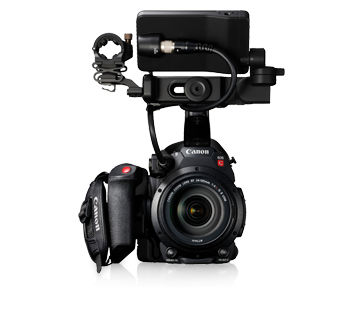 Maximum ISO speed is as high as ISO 102400 and expandable to Gain 54dB, broadening your range of shooting possibilities to include even on-location shots at night where lighting conditions are unfavorable. The depth of 4K expression is also effectively utilized even in 2K/Full HD output, where Over Sampling HD Processing carries non-additive resizing on the 4K data. This process also suppresses moire and reduces graininess from noise, making pristine images free of scaling artifacts a possibility. 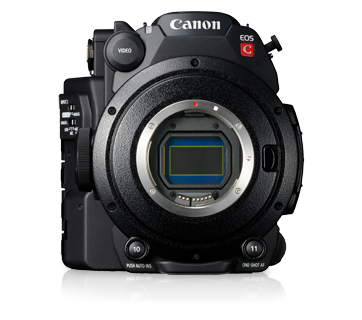 Autofocusing is carried out with the Canon-developed Dual Pixel CMOS AF system, which realizes fast, seamless AF and covers approximately 80% (vertically and horizontally) of the screen. Face Detection AF and Continuous AF are also possible. In 4K large sensor based image acquisition where ensuring tack-sharp focus may not be a simple task for a single-operator, the support for touch panel AF operation is a powerful benefit, enabling easier single-operator focusing. Selected EF Cinema Servo lenses are supported, and so are the wide selection of EF range lenses. The camera also features a menu for tuning AF speed and subject tracking characteristics, as well as a new "AF-Boosted MF" mode which ensures a reduced chance of inadvertent "focus-hunting" movements. In line with the needs of filmmakers, the fine-tuning of focusing operations is also possible. The camera supports the Browser Remote function, which allows remote camera settings control with a web browser enabled tablet via a Wi-Fi connection, enabling it to carry out precise focusing through touch operation when using a crane or drone.